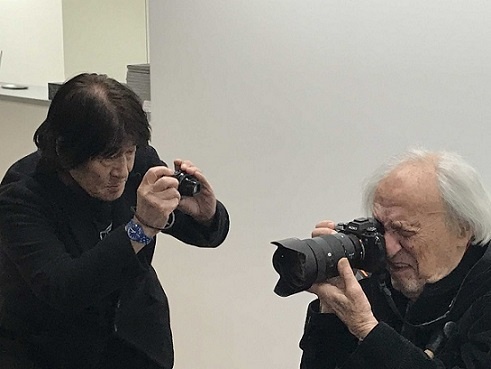 Mr.William Klein is staying in Japan for the "NEW PLANET PHOTO CITY - William Klein and Photographers Living in the 22nd Century -" exhibition now held in 21 21 DESIGN SIGHT. Klein has visited our gallery yesterday despite his busy schedule. 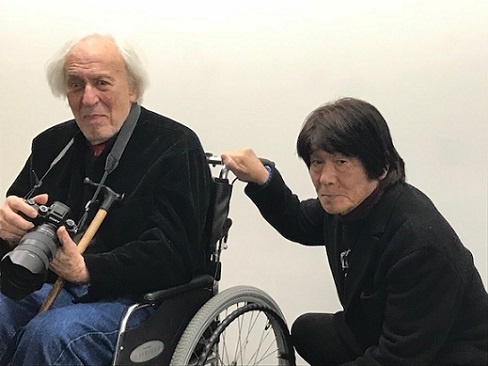 And he has enjoyed renewing his old friendship with Mr.Daido Moriyama since the time of the "William Klein + Daido Moriyama" exhibition.